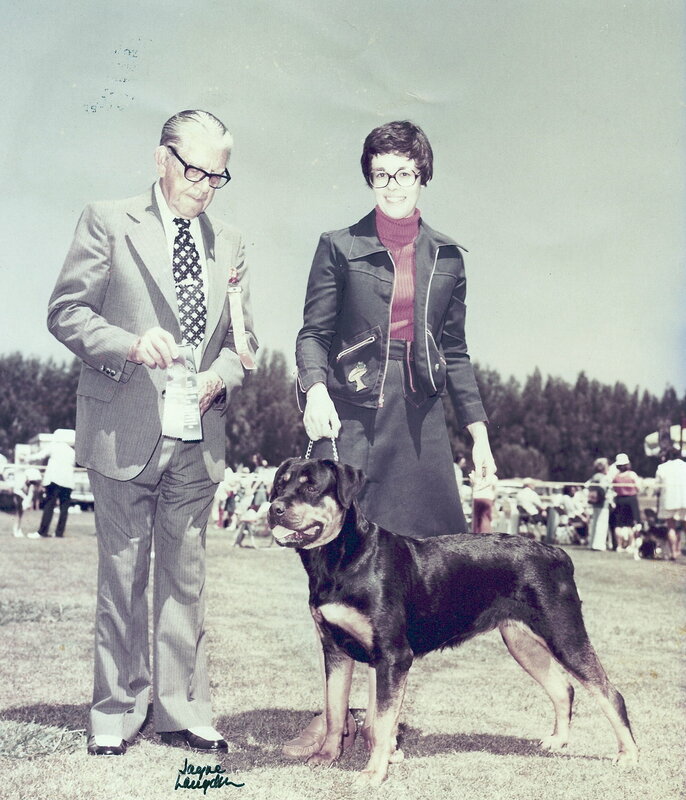 Cuddles was our first female Rottweiler. She was AKC pointed before she was 12 months old. She was put to sleep before she was 18 months after being diagnosed as the first confirmed Rottweiler with NADS by the University of California at Davis. The documentation and filming of her condition is still being used to instruct students today.